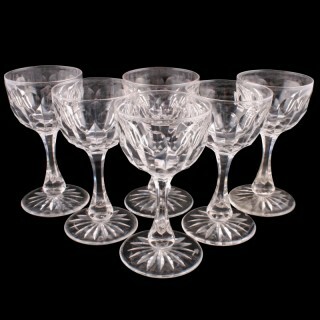 A set of six early 20th century Edwardian wine glasses. 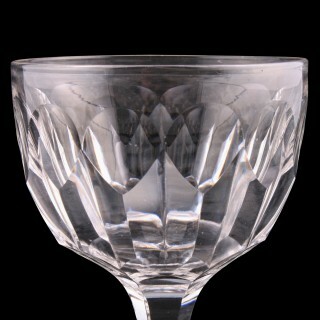 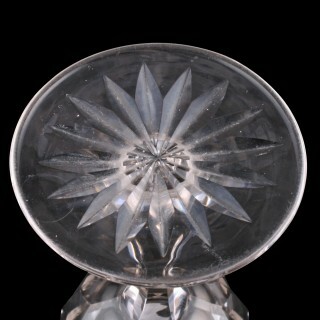 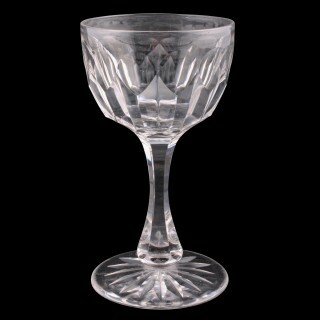 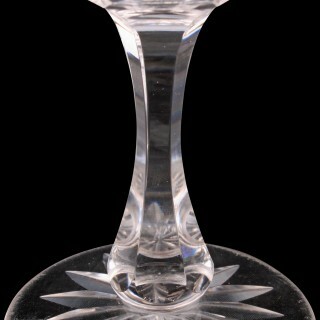 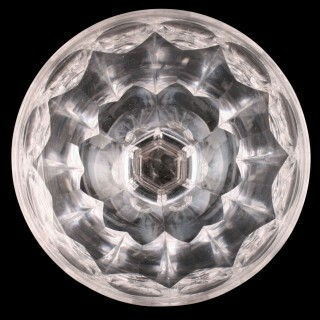 The glasses have a rounded bowl that is facet cut and a hexagonal baluster shaped stem. 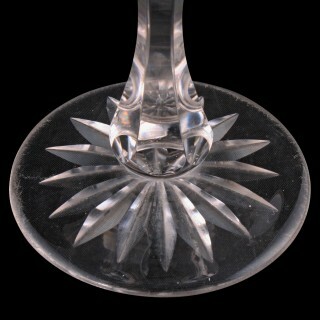 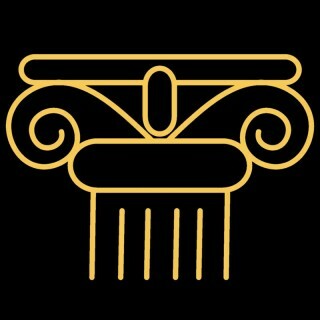 The foot is star cut underneath and shows some wear which is to be expected.